Take 500 miles of the clearest blue green water, throw in some 700 plus islands giving you an archipelago of 100,000 square miles of uninhabited and habited islands, add in the third largest barrier reef in the world and one will find the Bahamas. First visited by Columbus in 1492, this large chain of Islands is located in the Atlantic Ocean just a mere 50 miles off the Florida east coast (Bimini, home to Earnest Hemingway) extending to just north of the Island of Cuba, Hispanola and to the Turks and Caicos in the southeast. 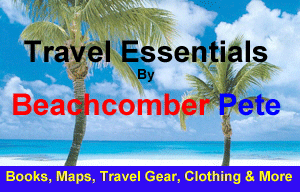 From the Grand Bahamas in the Northwest to Great Inagua in the Southeast, one will find 30 or so inhabited islands. The Bahamas have had a very changing short history, starting with Christopher Columbus first landing in the New World on what is now called San Salvador, through the years the Islands have been populated by Indians known as Lucayans. It is estimated at the time of Columbus’ arrival there were over 40,000 Lucayans Indians living in the Bahamas. Over the next two decades the Indians were taken to Hispaniola as slaves, thus eradicating the Indian population in the Islands. For the next 150 years, the Islands were virtually uninhabited. In 1647, Eleutherian Adventurers seeking religious freedom settled on what is today called the Island of Eleuthera. Later, the Eleutherian Adventures settled the Island today called New Providence. The capital of the Bahamas, Nassau, is located on the Island of New Providence can be found at 24º 15 north, 76º 00 west, was at one time home to pirates, one being the infamous Blackbeard, to today thousands of tourist and locals looking for their place in paradise. At the end of the American Revolution, more than 8000 Loyalist moved to the Bahamas with their slaves. The Loyalist’s established plantations on several of the “outlying islands” otherwise known today as the “Out Islands”. In 1807, the British Government abolished the slave trade, thus opening the Islands to thousands of African slaves freed from the slave ships. The Bahamas finally saw their Independence from the British in 1973. Low lying, almost flat at times the Bahamas are pretty much similar to one another. Blue green waters filled with large coral reefs, and an abundance of sea life second to none in the world. 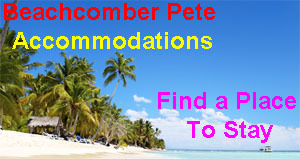 As well as, long pink or white sandy beaches to mangrove swamps and pine forests approaching the water’s edge. The calm waters of the Bahamas have become a heaven to sailors, scuba divers nature lovers and sun worshipers. 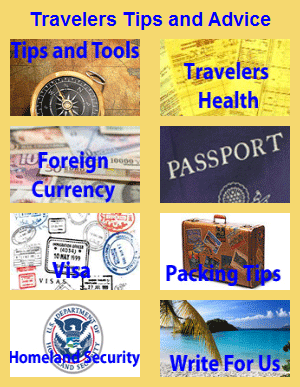 Tourism makes up the largest part of the Bahamian economy followed by banking and financial services. 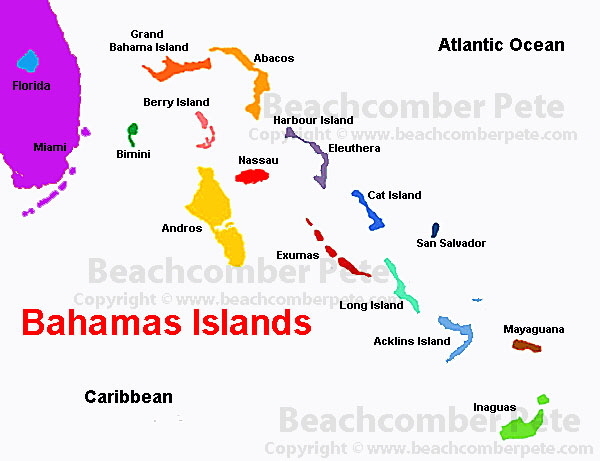 Grand Bahamas and New Providence being the largest and most populated in the chain of Islands, the renaming inhabited islands are often called the Out Islands. The climate of the Bahamas is influenced by the waters of the Gulf Stream, giving a sub- tropical to tropical climate. With low lying land and warm shallow waters the Bahamas fall victim to many Hurricanes during the season ranging from summer through late November. Arriving in the Bahamas, tourist and locals have many options; even though the Islands are spread over 500 miles there are 3 International airports, Nassau/Paradise Island, Grand Bahamas and the Exumas with more than 57 outlying airports. 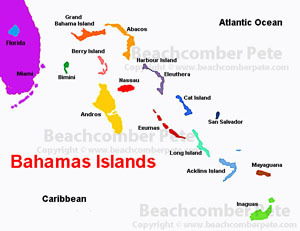 There are more than 29 marinas listed as ports of entry for the Bahamas.